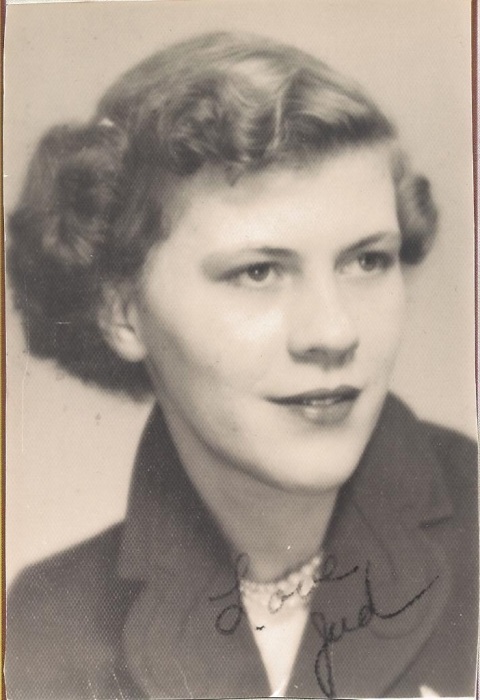 Geraldine Joyce "Jud" (Powell) Keith, 83, of Freedom, passed away peacefully at home on Friday, November 2, 2018. Jud was born in Owen County on December 23 1934 to Herschel M. and Hazel D. (Frankenberger) Powell. Jud was a member of the Freedom United Methodist Church. Jud was known as an adopted mother and grandmother to many and never turned anyone away. Jud is survived by her children, Steven D. Keith of Freedom, Joseph L. and wife Shelly Keith of Spencer, grandchildren, Jeffrey and wife Rachel Keith, Stephanie Farley, Logan and wife Kate Keith, Andrea Leanne and husband Justin Davis, Hanna Leffler, Haley Leffler, great-grandchildren, Chandler Keith, Avery Keith, Tyler Keith, Kierstyn Austin, Elijah Austin, Layla Davis, Oliver Keith , siblings, Dora Harden, Myrna Dyer, Danny and wife Kathy Burkett and several nieces, nephews, and cousins. Jud was preceded in death by her parents, husband, Floyd Harold Keith, daughter, Kimberly Anne Keith-Farley, siblings, Lena Phillips, Orville Burkett, Cora Rawley, Celestia Summerlot, Byron Burkett, Della Carpenter, Emma Dayhuff, Orris Burkett, Zella Herrington, Lora Halfhill, Darrell Powell, Marvin Powell, and Mary Ellen Miller. Funeral services will be 11:00 AM, Monday, November 5, 2018 at the West & Parrish & Pedigo Funeral Home in Spencer. Minister Josh Cunningham will officiate. Burial will follow in Mt. Moriah Cemetery. Visitation will be 2:00 PM until 6:00 PM, Sunday, November 4, 2018 and again 10:00 AM until the time of service on Monday, at the funeral home. Memorial contributions may be made to the Owen County Humane Society through the funeral home. Online condolences may be sent to the family at www.westparrishpedigo.com.